Find out more from the UK's local home of this exciting system. Peak Performance is a consultancy business. It is dedicated to working out the best new ideas and to providing fresh approaches - all in the cause of helping client organisations scale new heights of performance. Use these web pages to explore the services that have already benefited our existing clients and consider how they might be relevant to you. Listed high in the Peak Performance portfolio of consultancy are activities based around the Interactive Presenter™. 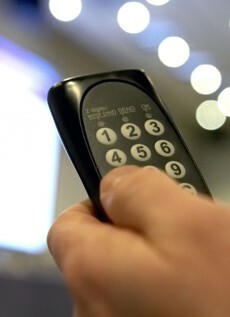 A powerful presentation & voting system, the Interactive Presenter™ is developed by our Finnish partners, Dolphin Interactive. Peak Performance skilfully and enthusiastically deliver services employing hard won expertise in the use of interactive voting technology. If you hold meetings with from 20 to 2000 people, may be just once in twelve months or perhaps, 365 days a year, it's more than likely that you could benefit from its use Find out more on the in-depth section of the site dedicated to the Interactive Presenter™. . Enabling Health and Social Care Challenges to be addressed through the adoption of technology.